The Class 456 was first introduced in September 1991 with Network South-East. ​Tattenham Corner and West Croydon. The units are formed of 2 coaches and feature no toilet facilities. March 2014 saw the units gradually transfer from Southern to South West Trains (now South Western Railway). They then went through a heavy overhaul to bring them up to the latest DDA and PRM (Passengers with Reduced Mobility) standards. ​This included installing new wheelchair accessible areas, new passenger information screens and announcements, new door open/close buttons and alarms, new call for aid buttons, new seating layout throughout the train, new interior finish and new external livery applied. 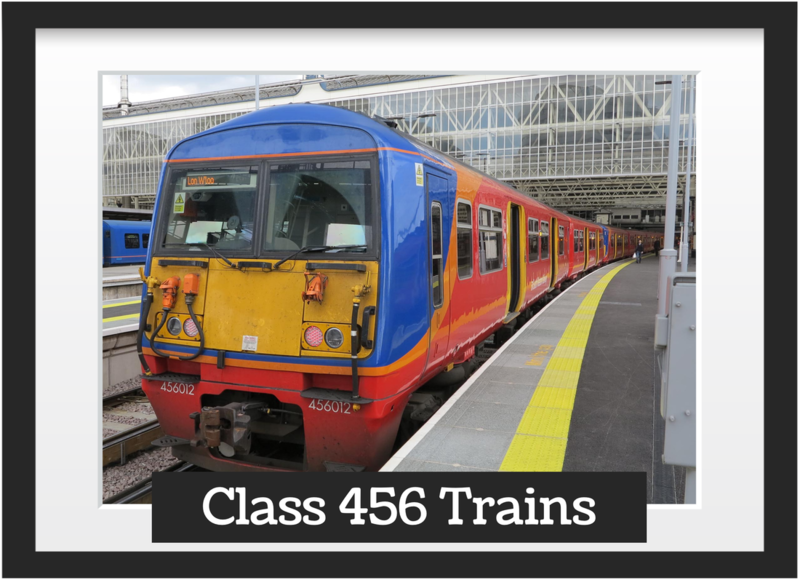 They can be used in multiply with other Class 456's or with Class 455 trains. South Western Railway will be withdrawing Class 456 trains by December 2019 with brand new, air conditioned trains.